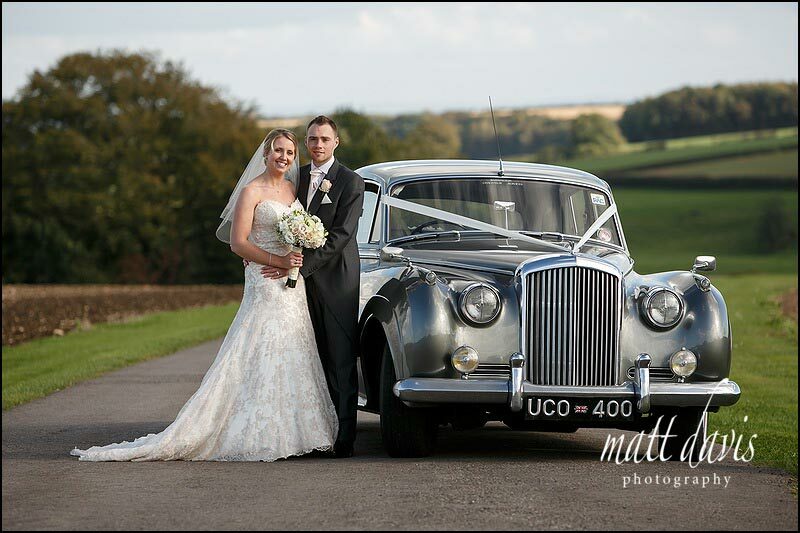 As the seasons change again it’s great to post this wedding from mid October where the weather was still warm and we had a beautiful bright day. 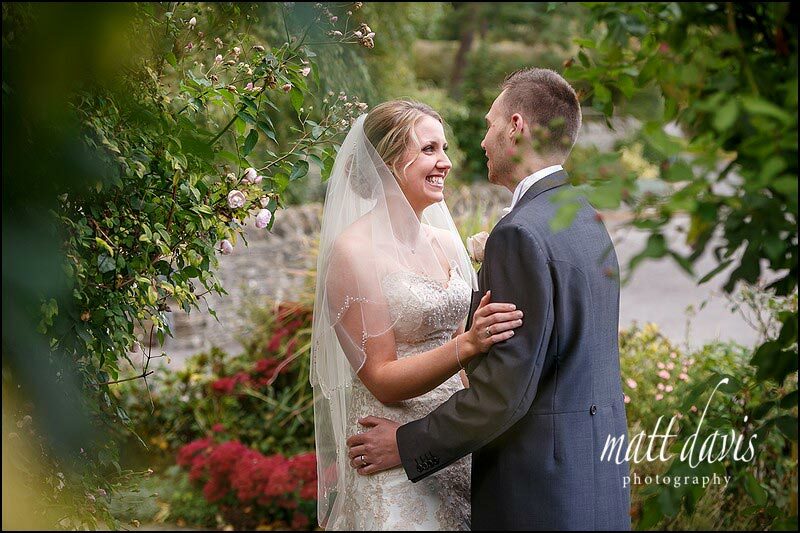 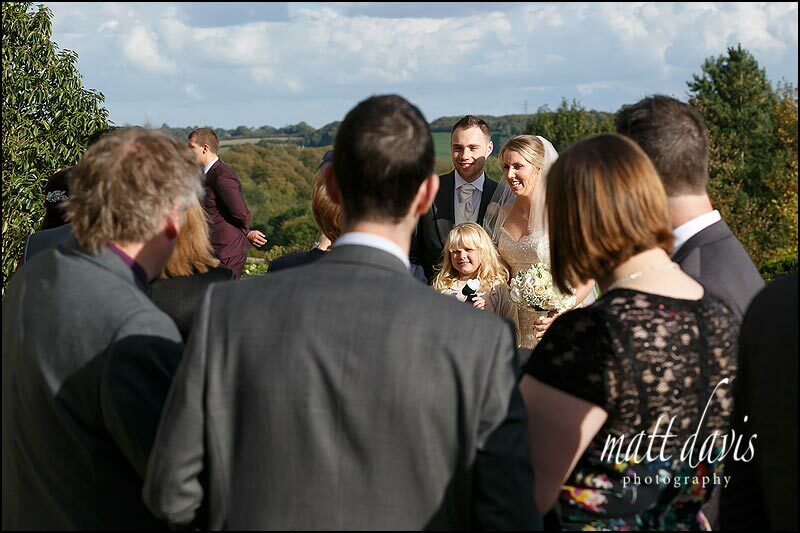 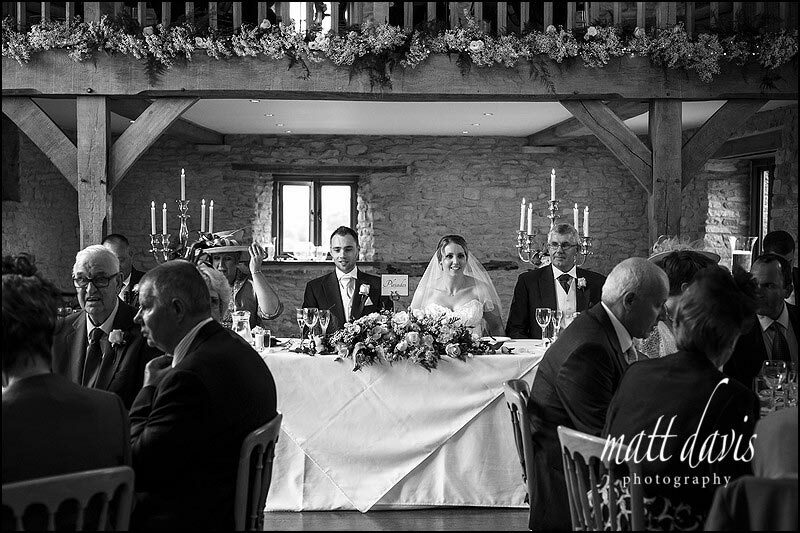 Will & Jenny enjoyed an autumnal wedding at Kingscote Barn, set in the picturesque valley, with sheep scattering the hillside. 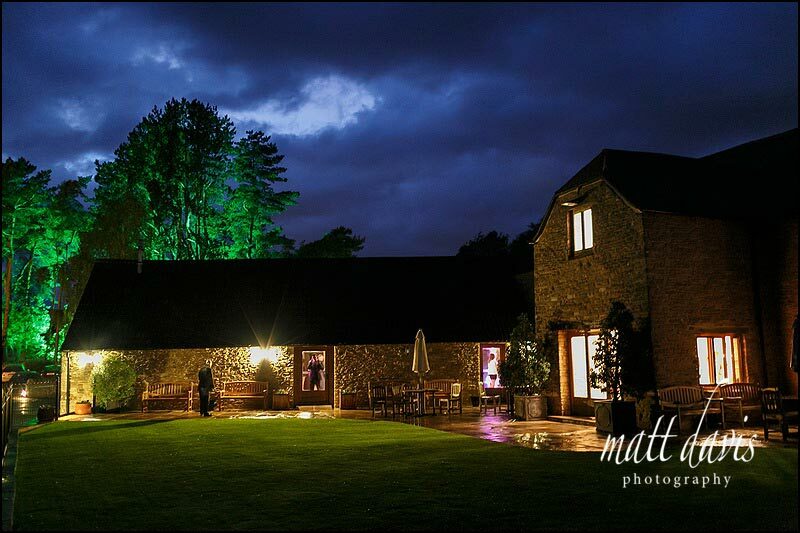 Although not cold, one things for sure, it certainly gets darker sooner in the evenings. 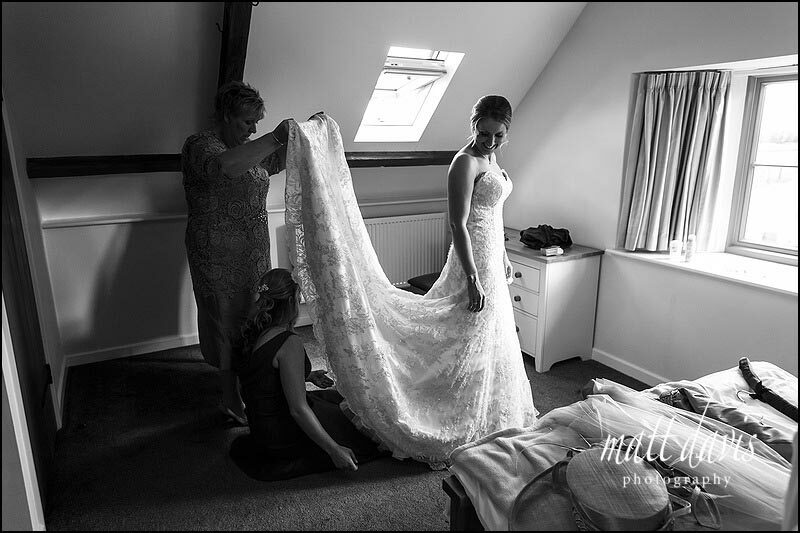 If you act quickly during the daylight hours though, there’s still plenty of light for me as a photographer to capture perfect wedding day images. 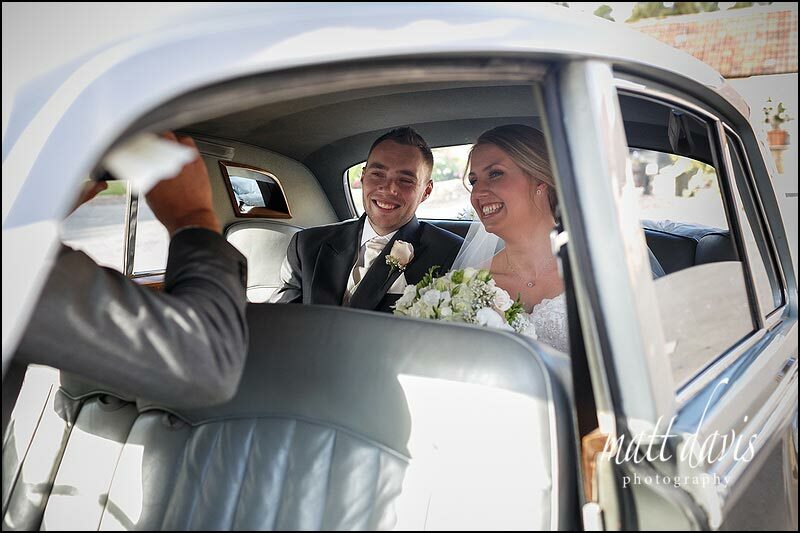 Will and Jenny even had time for a ride in their vintage wedding car, whilst guests enjoyed time on the terrace, drinking in the views (and possibly some champagne). 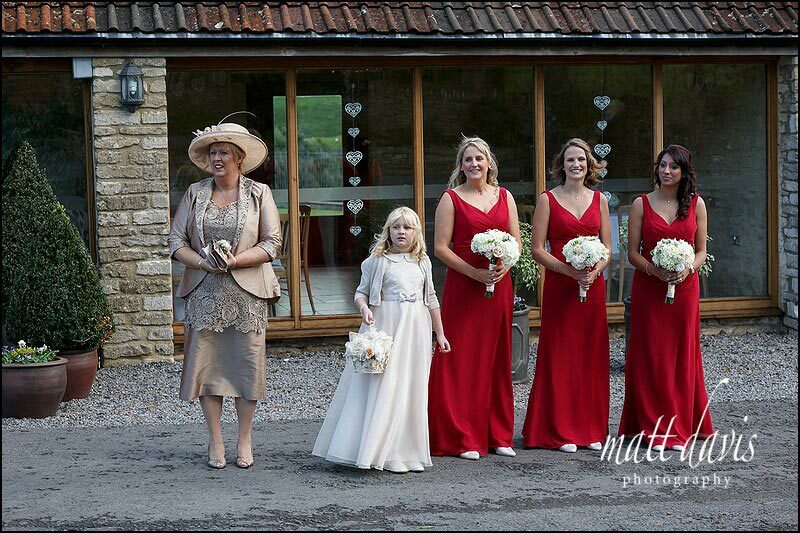 After a pleasant afternoon, guests headed back into the barn which was laid out beautifully for the wedding breakfast. 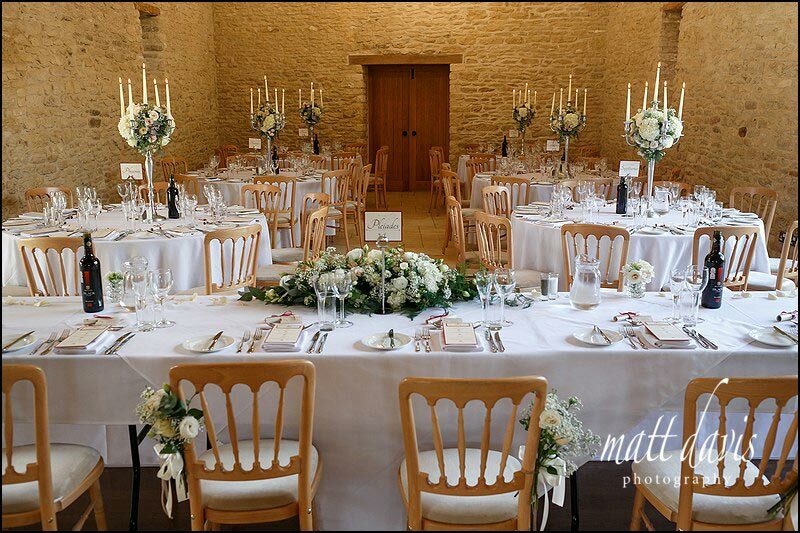 Filled with flowers by Sorori Design and one of my favourite statement pieces, candle arbors, on the tables. 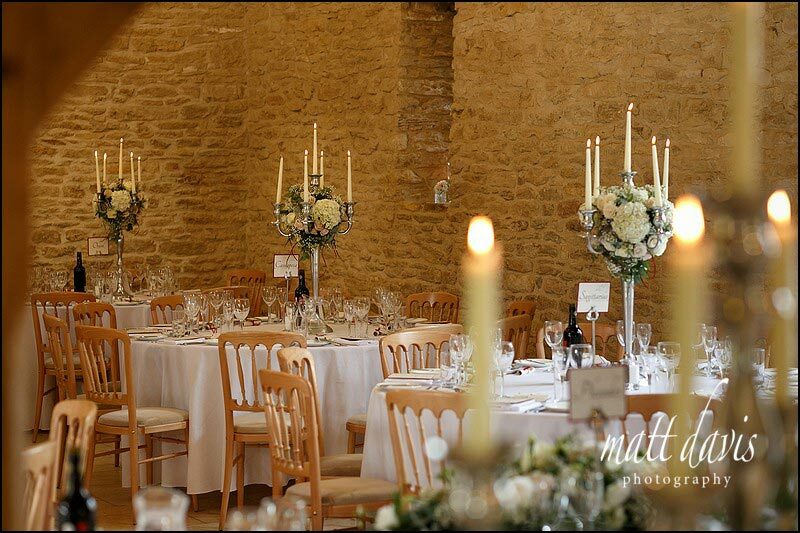 As the evening drew in, the atmosphere was cosy with candles providing subtle lighting and an elegant theme. 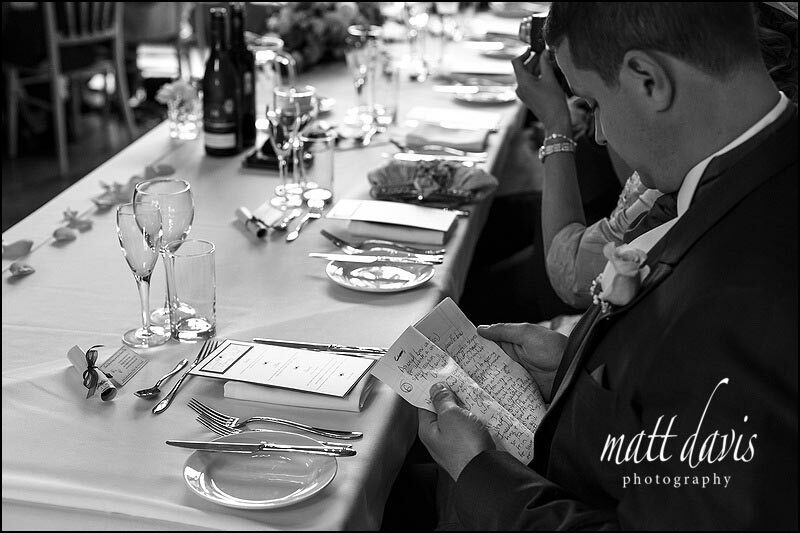 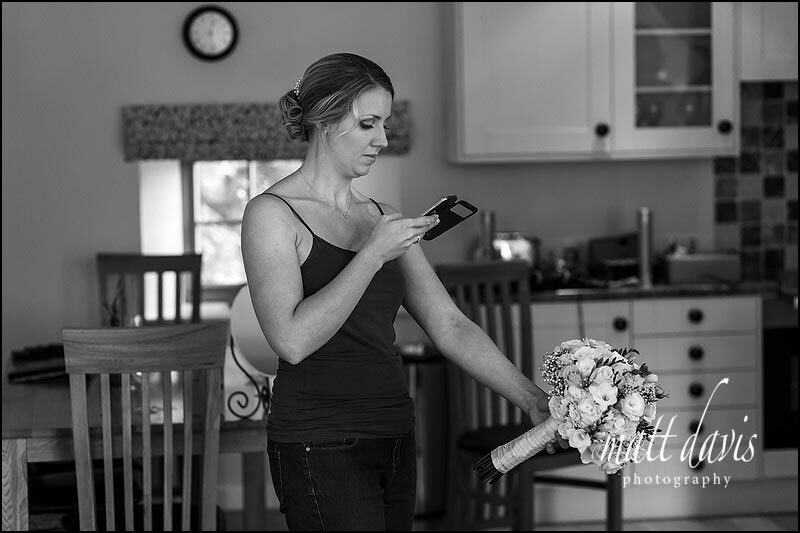 During speeches there was the modern take with an iPad for Will, and the traditional note pad & pen for Jenny’s Father. 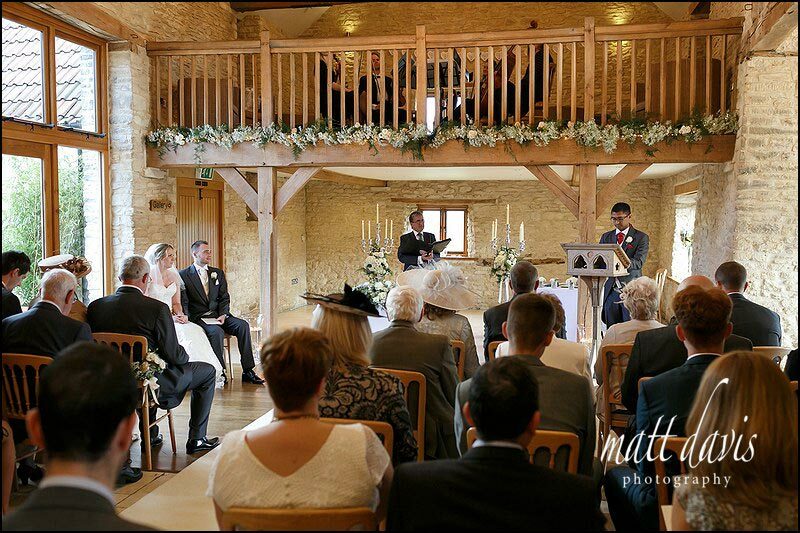 Both were heartfelt speeches, and went down well. 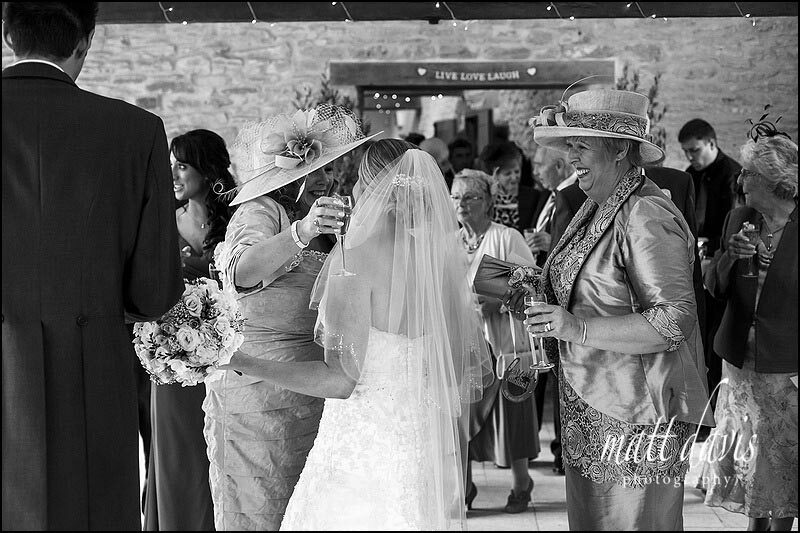 A final shuffle on the dance floor concluded Will’s duties for the day, leaving him to enjoy the cocktail bar without any more added pressure! 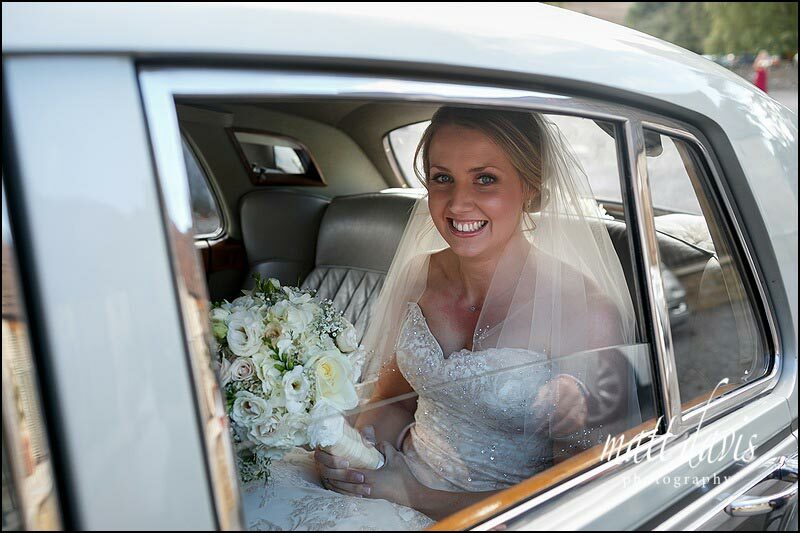 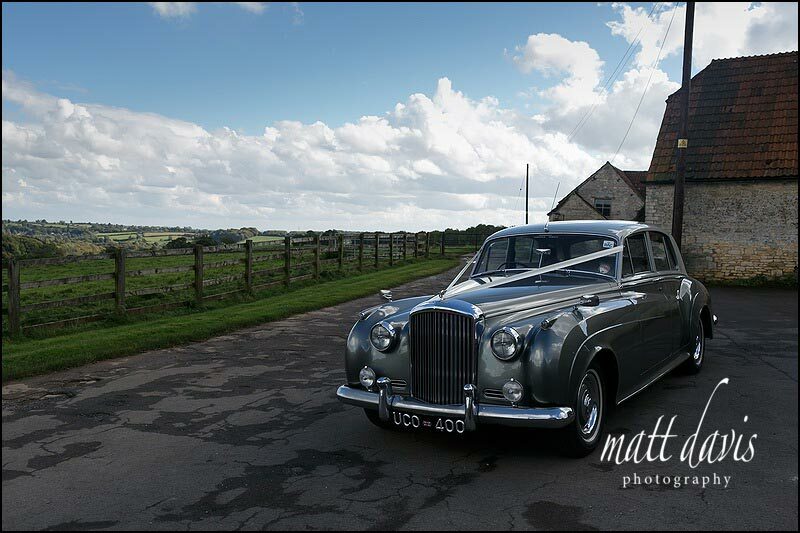 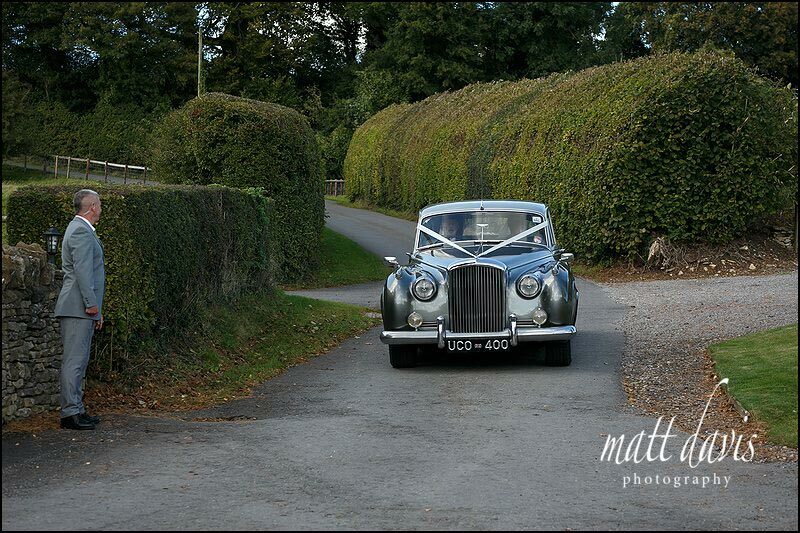 It’s a classic wedding day in the Cotswolds – rolling countryside and vintage cars. 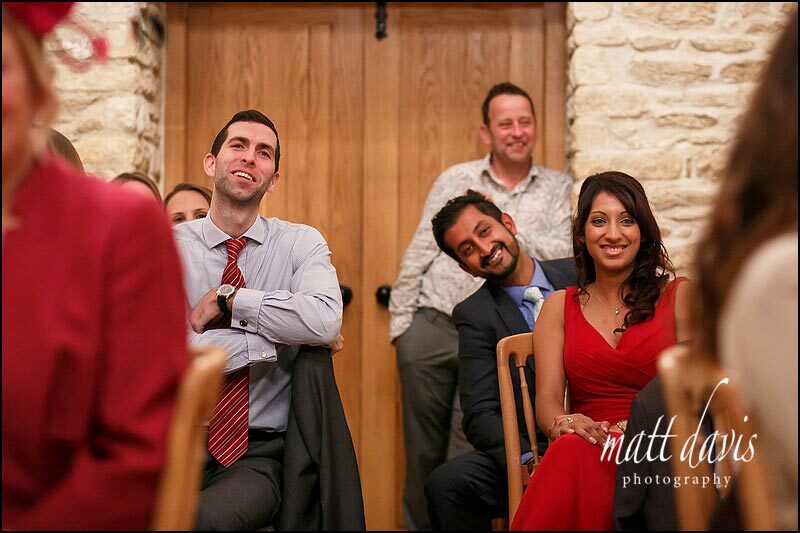 Anything unusual under here we should be aware of? 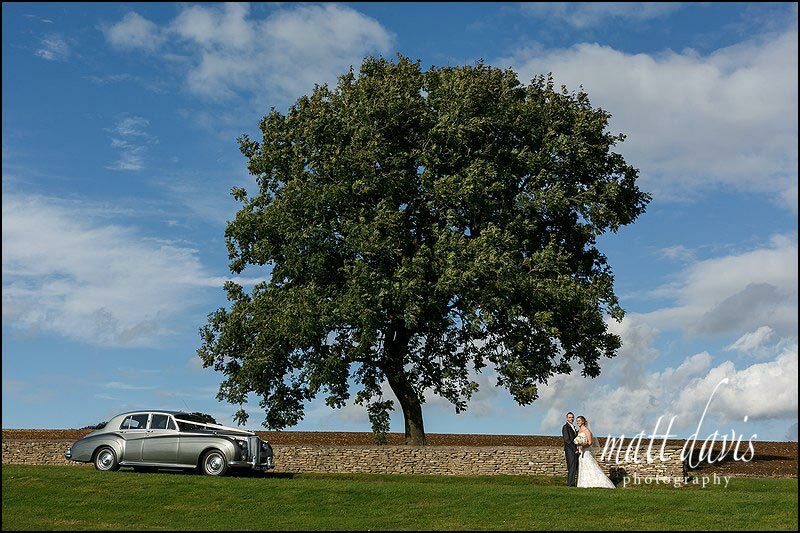 Mid October at Kingscote Barn……how good was this weather? 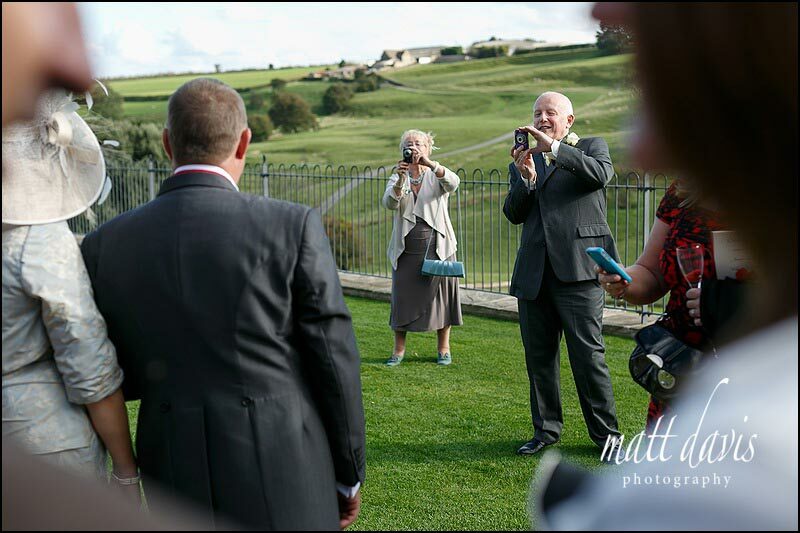 It’s a busy paparazzi moment when the registrars finally allow guests to take photos. 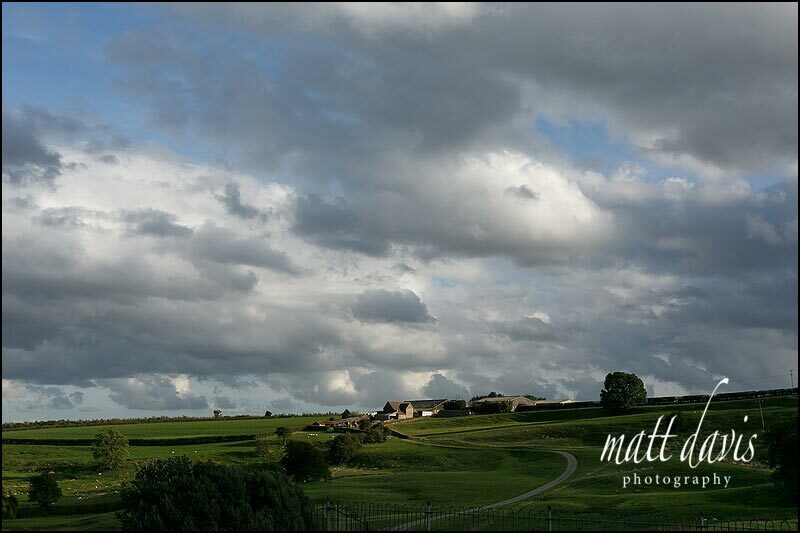 Okay, so the good spell of weather had to end. 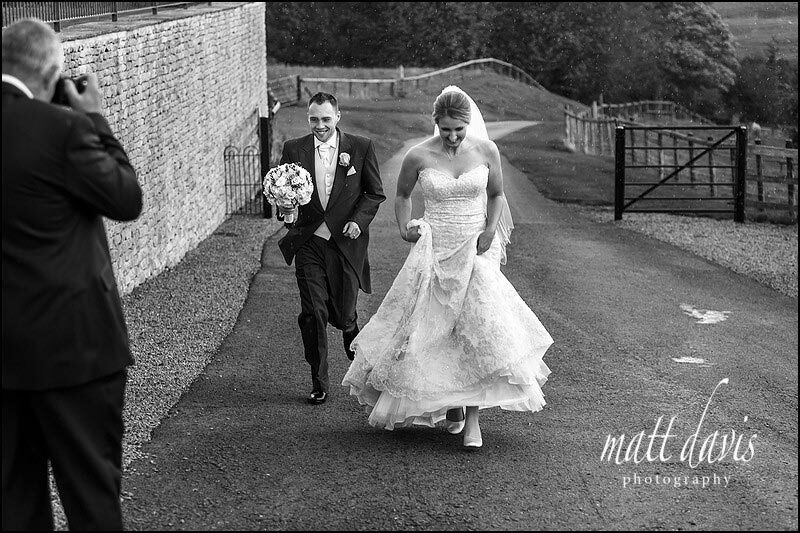 Quick reactions to the sudden downpour were required. 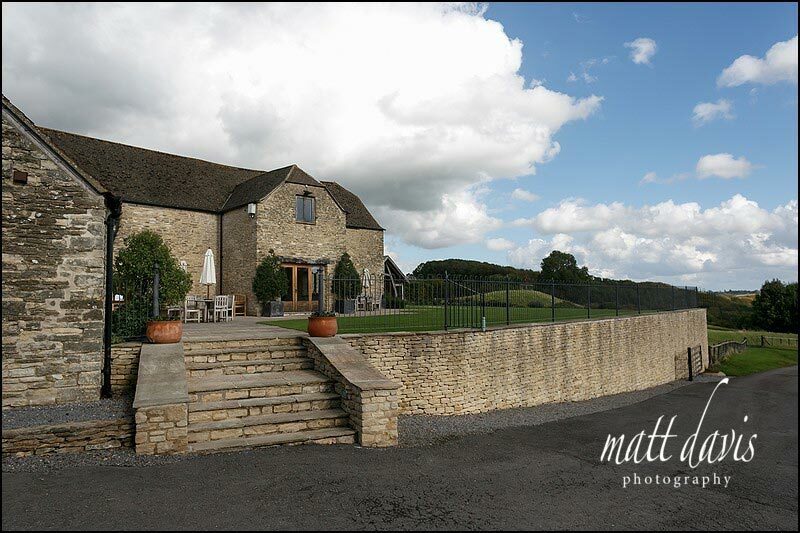 The view from Kingscote Barn. 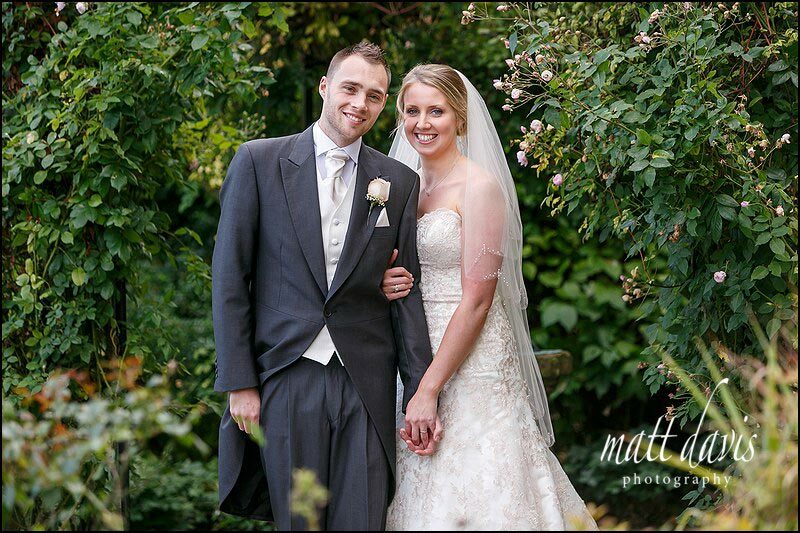 Not bad eh? 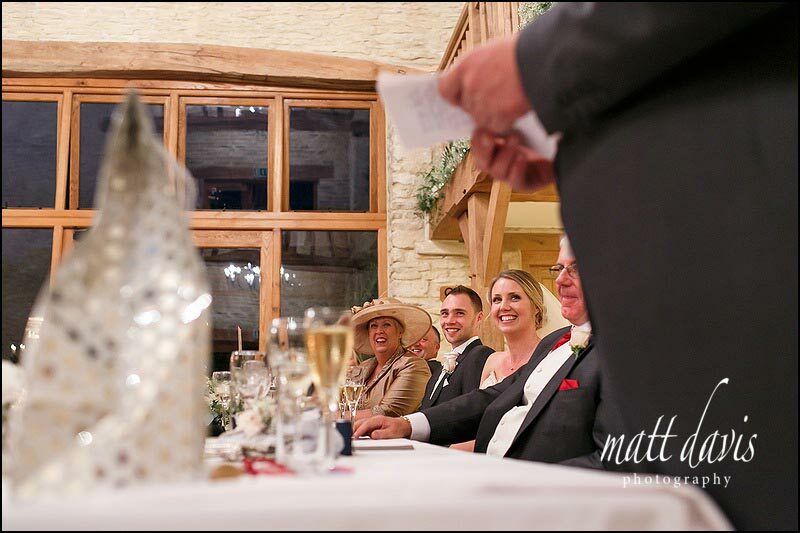 Dinner for a best man is never the relaxed affair you may wish for. 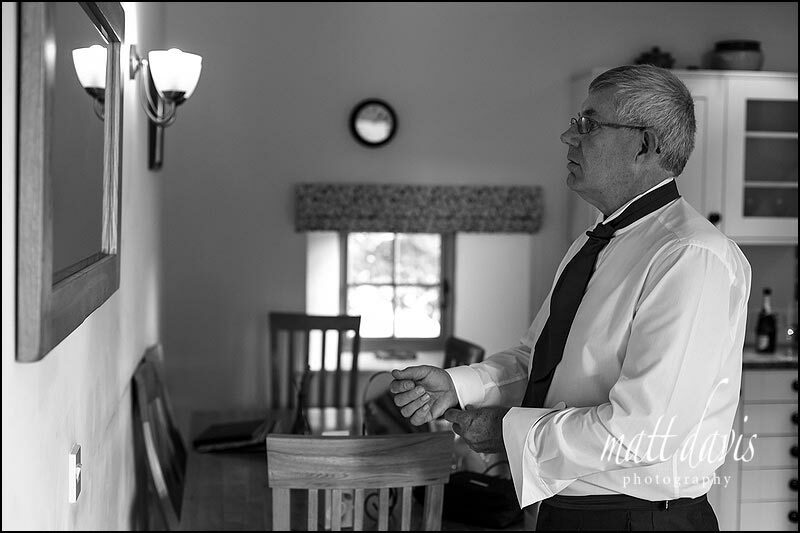 Time to re-read over his speech. 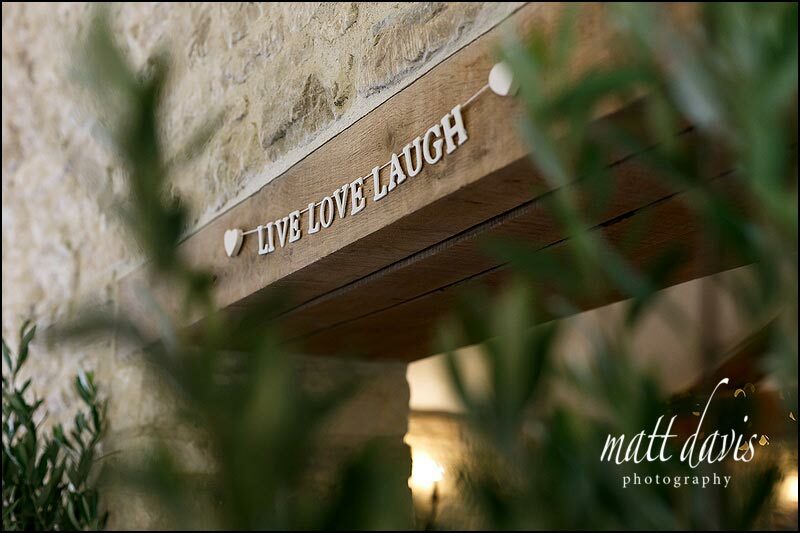 If you’re having an autumnal wedding at Kingscote Barn and need a local photographer, then please contact me, it would be great to hear from you and have a chat about your day. 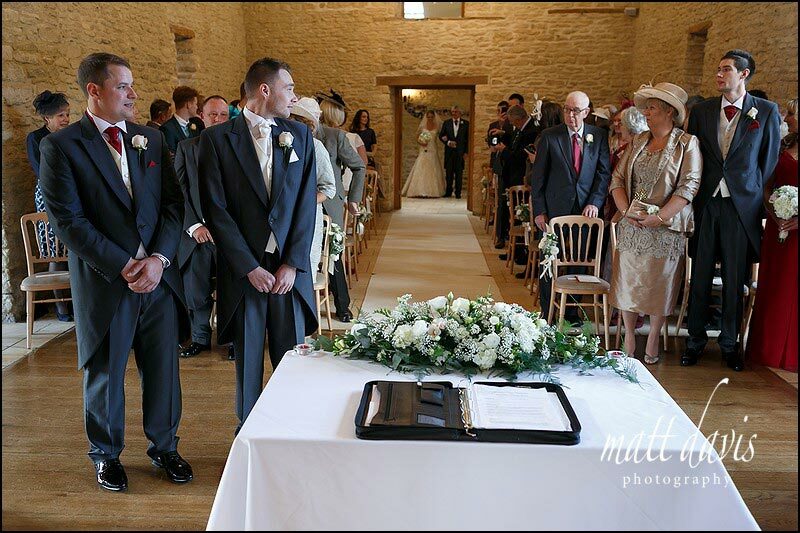 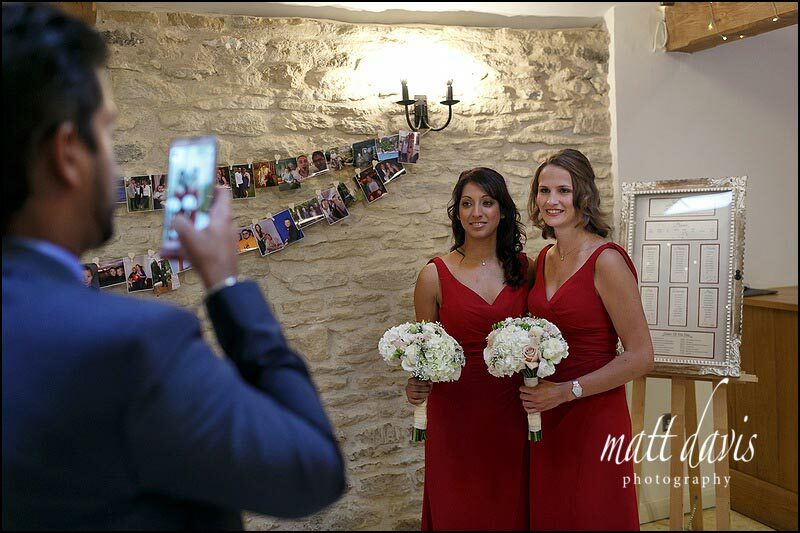 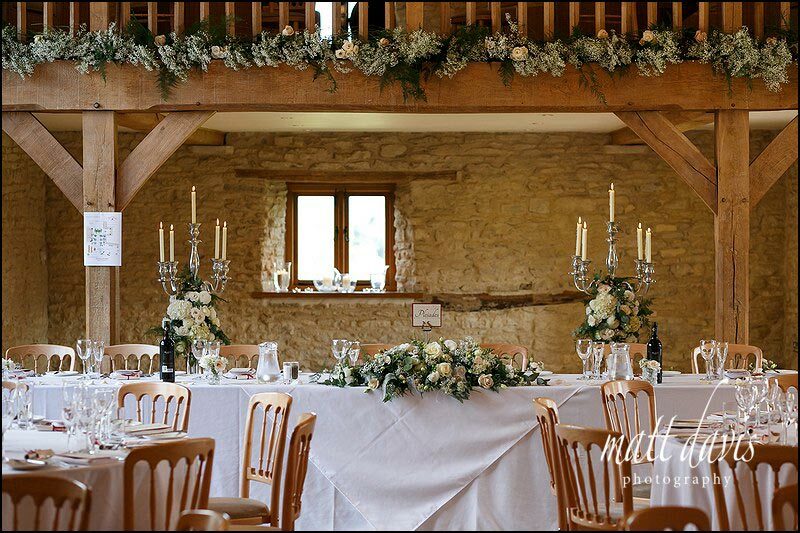 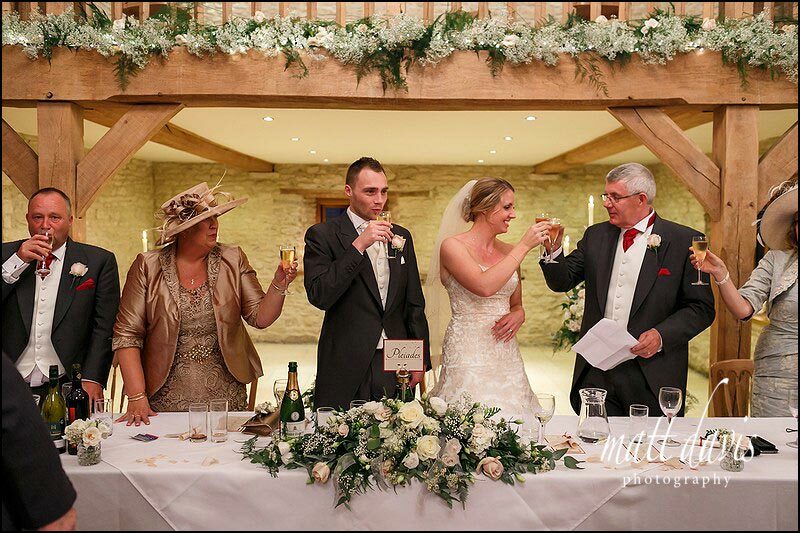 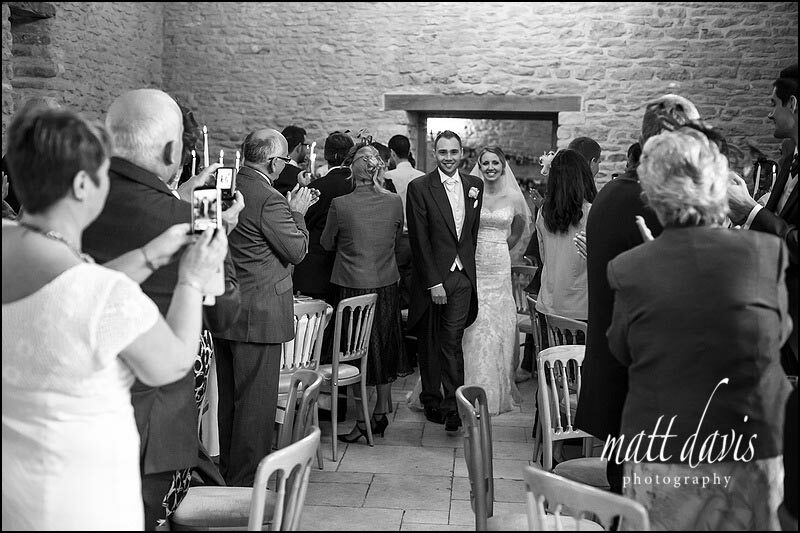 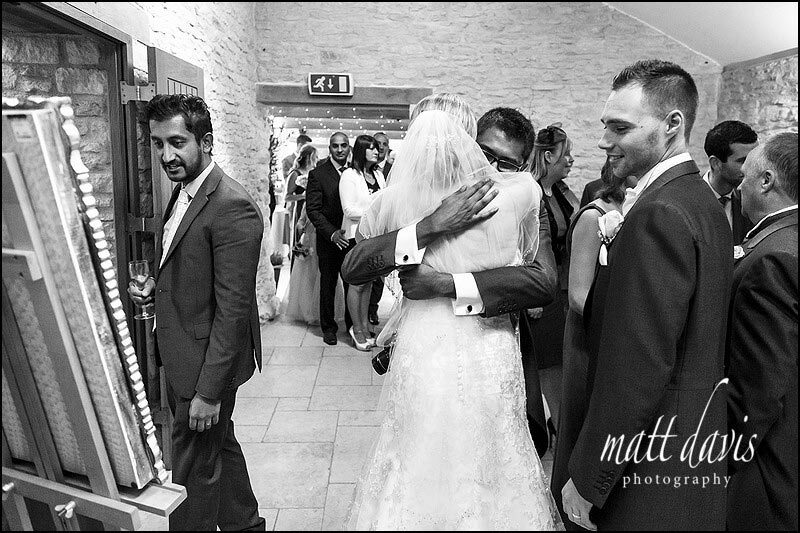 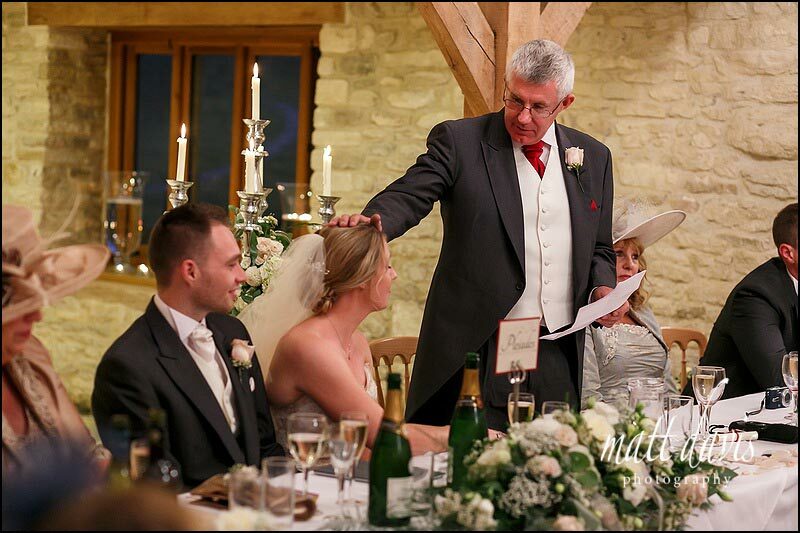 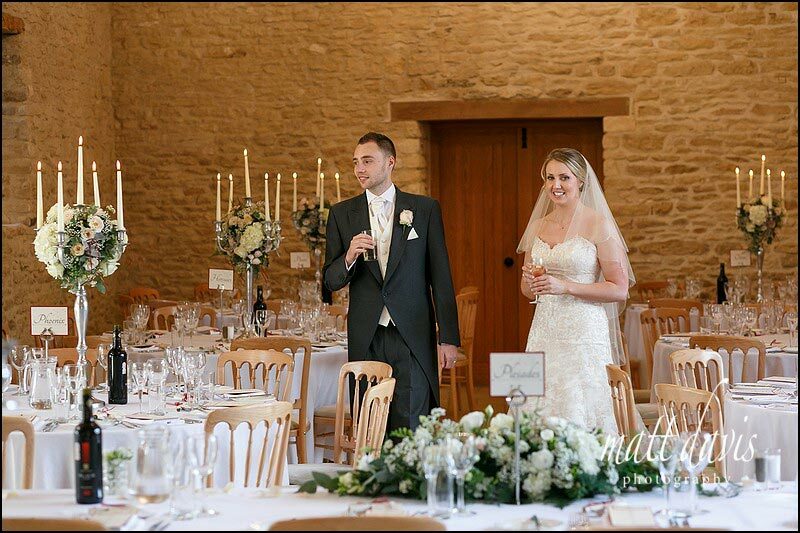 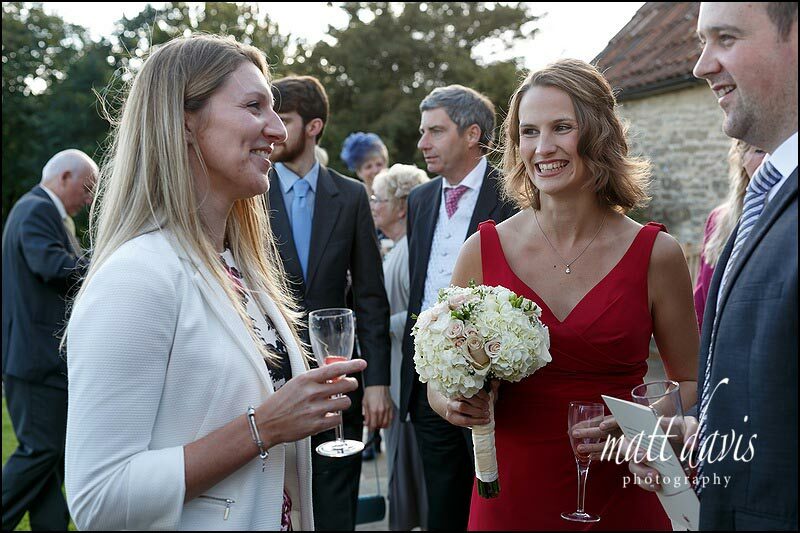 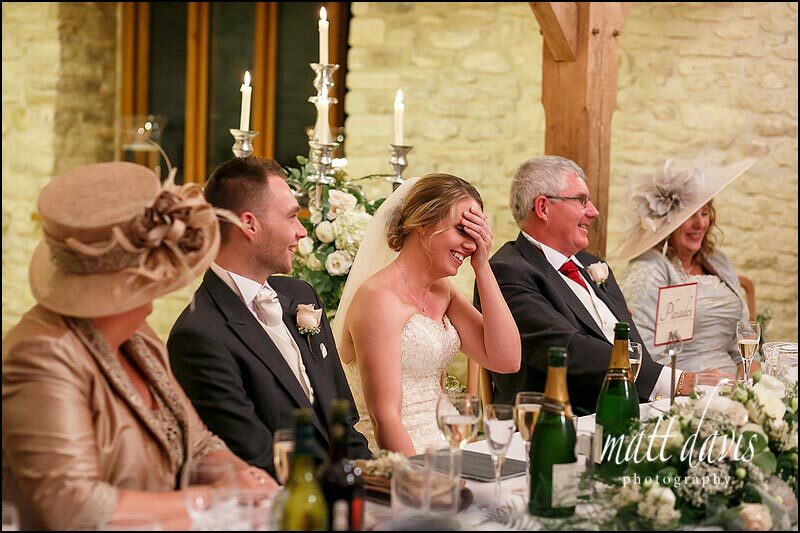 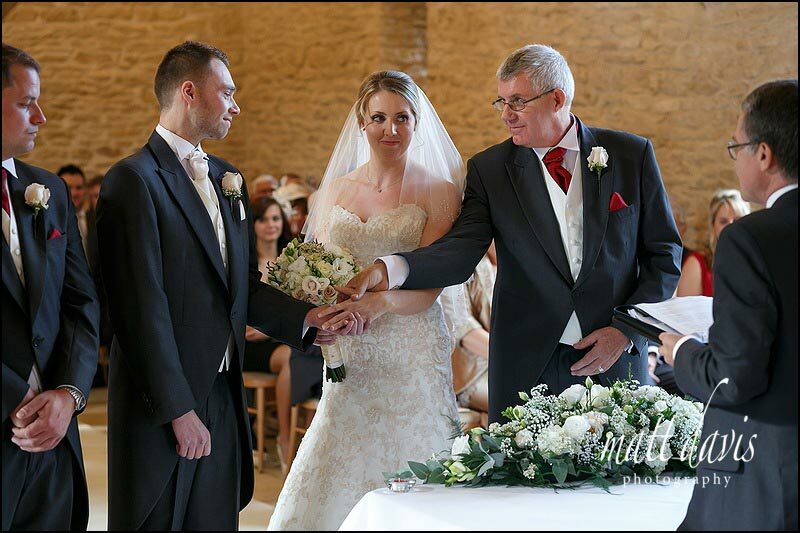 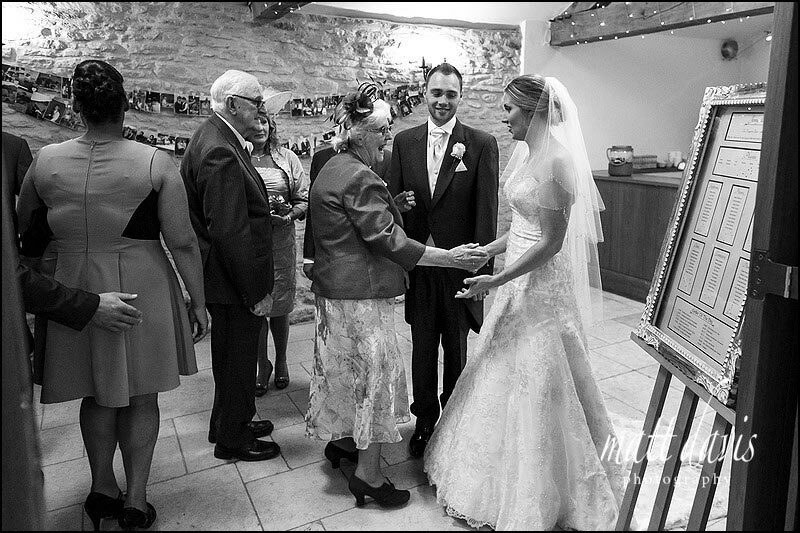 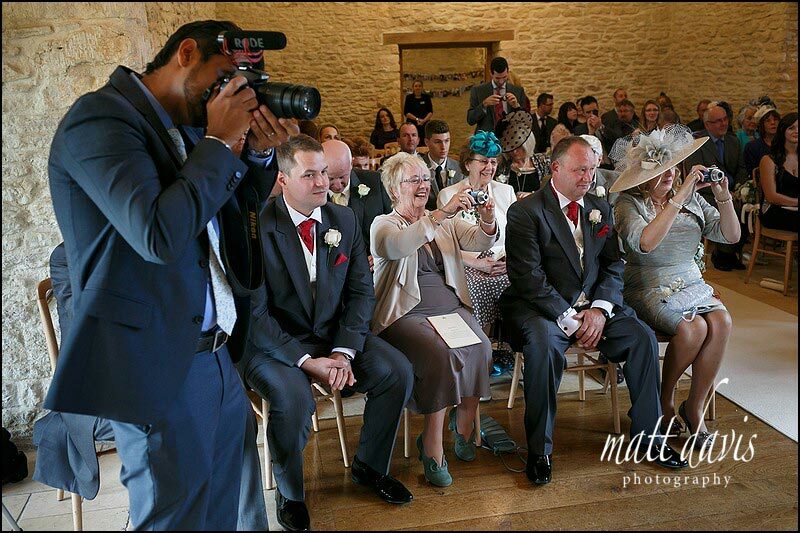 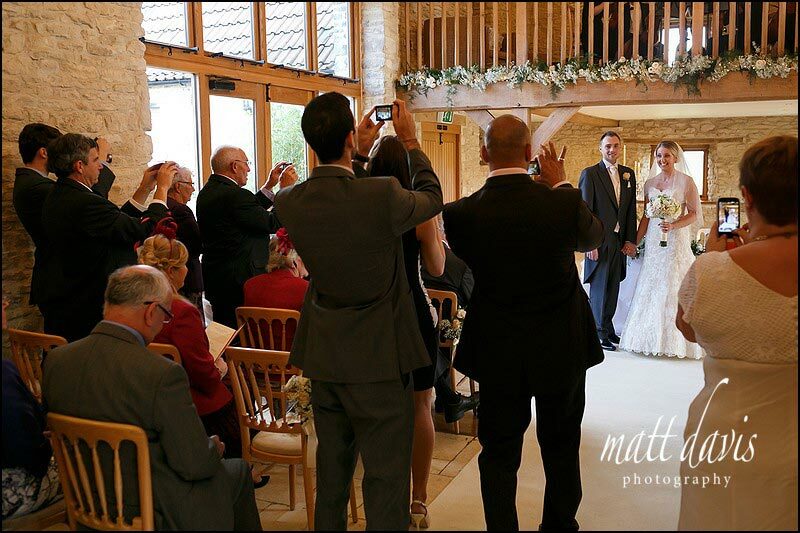 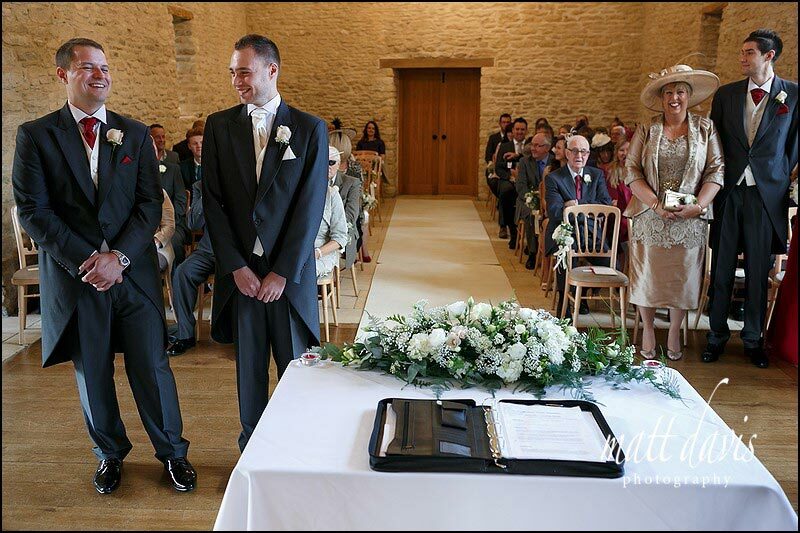 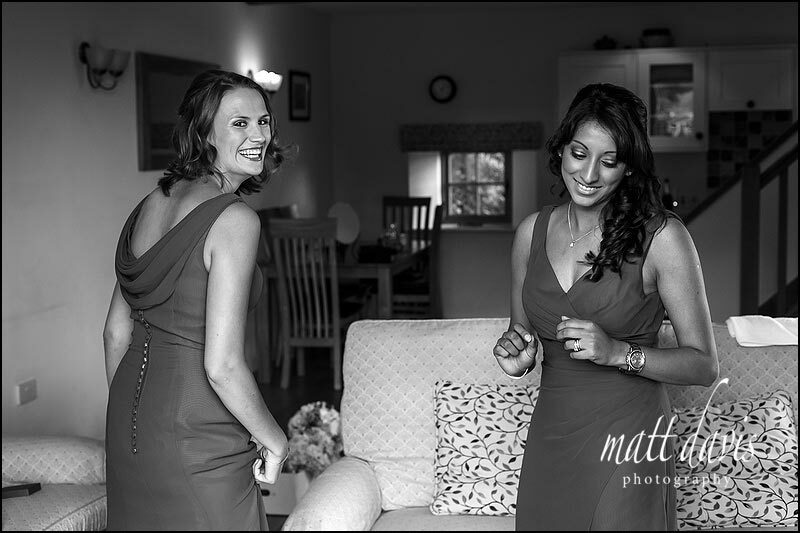 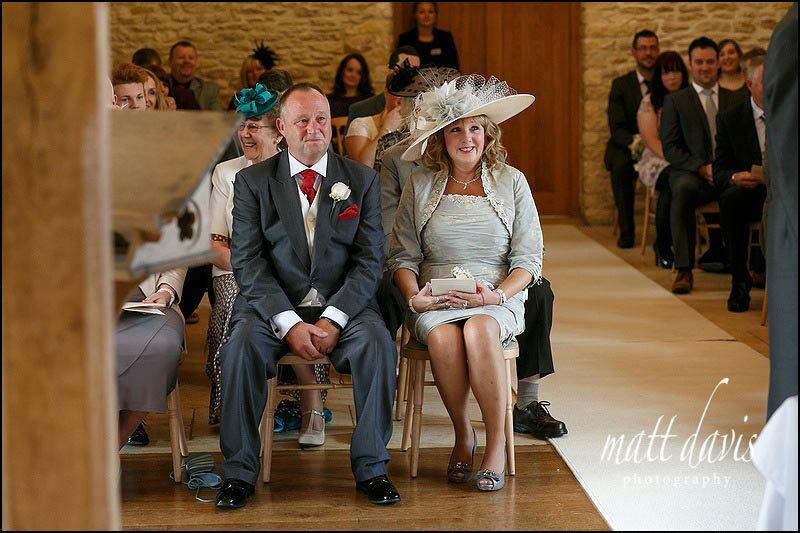 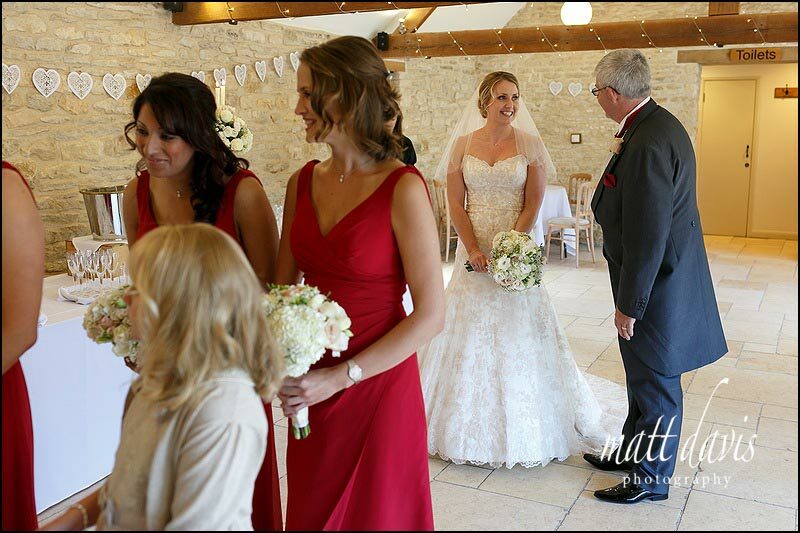 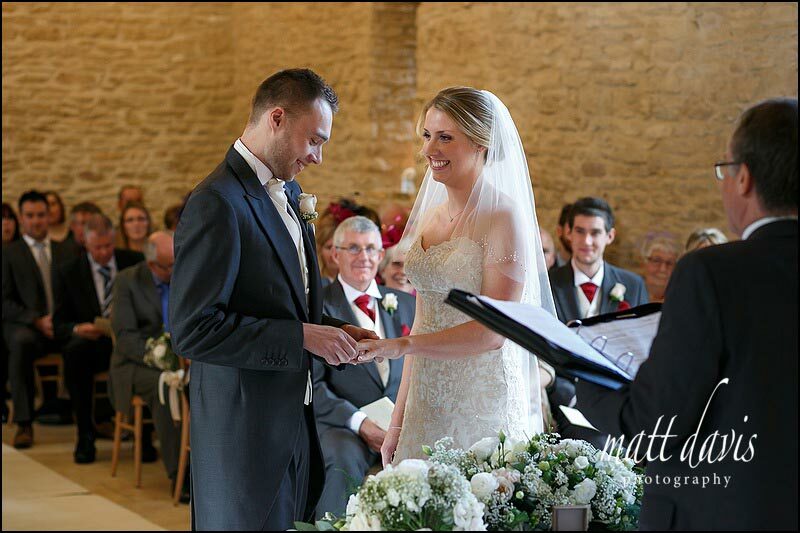 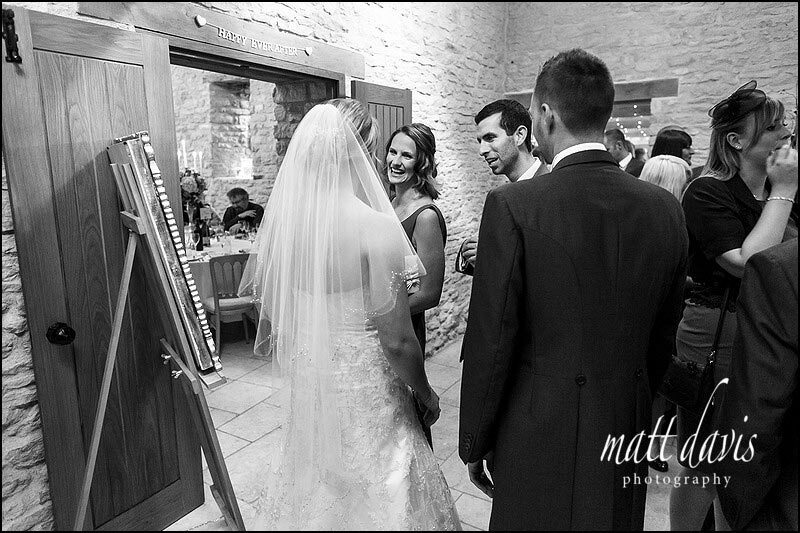 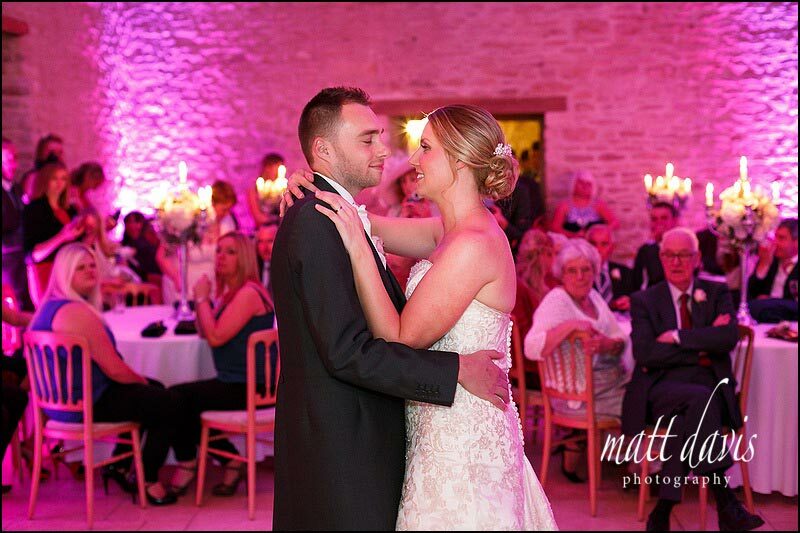 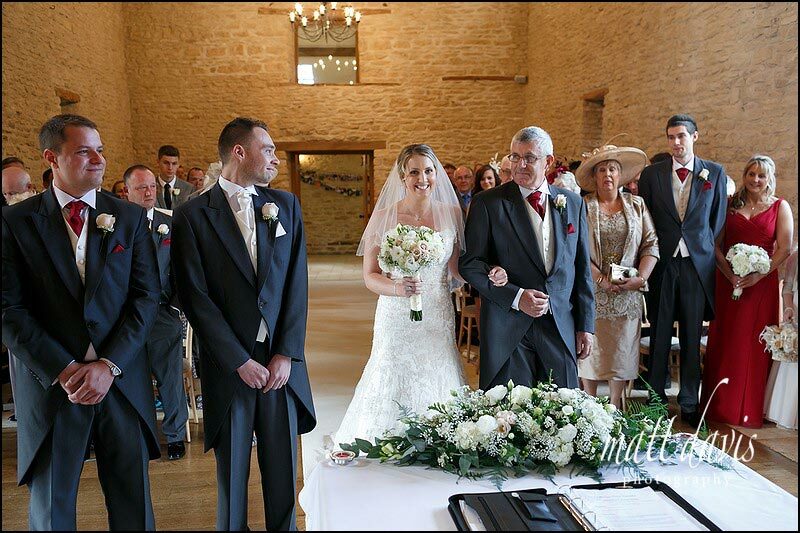 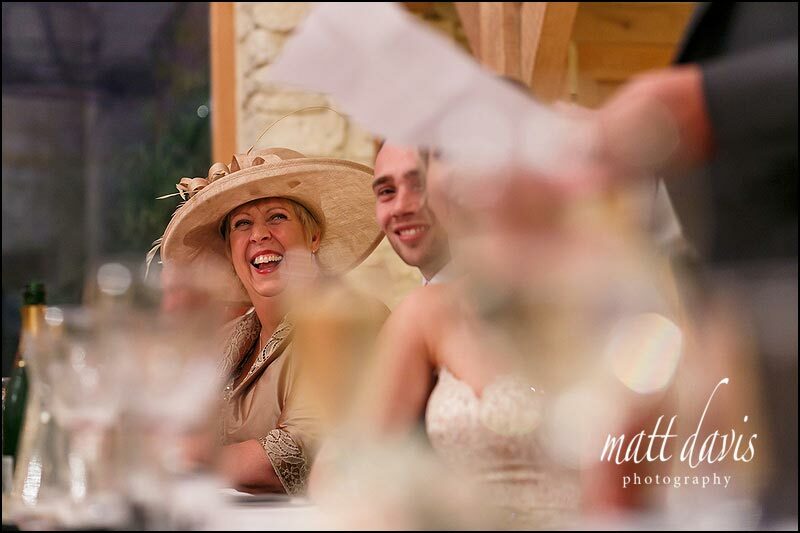 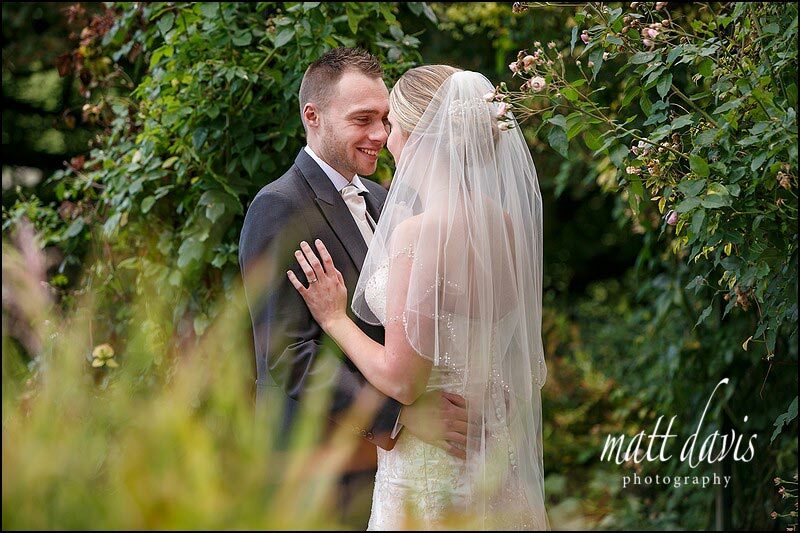 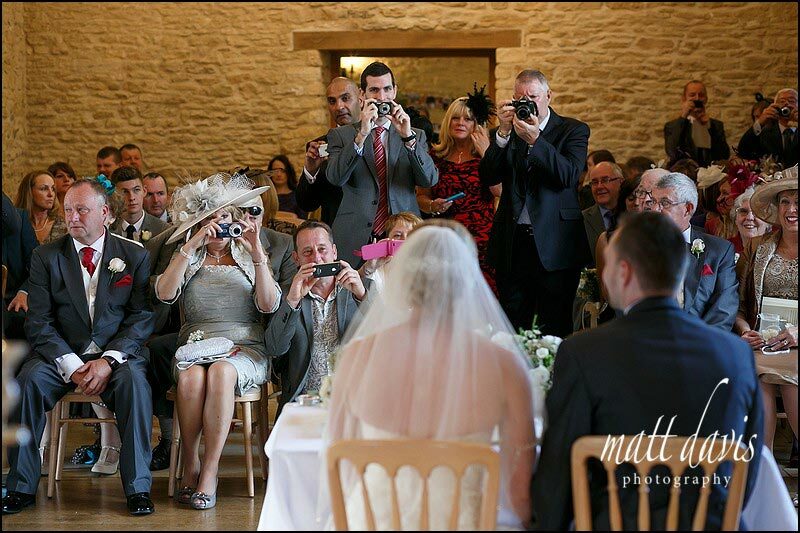 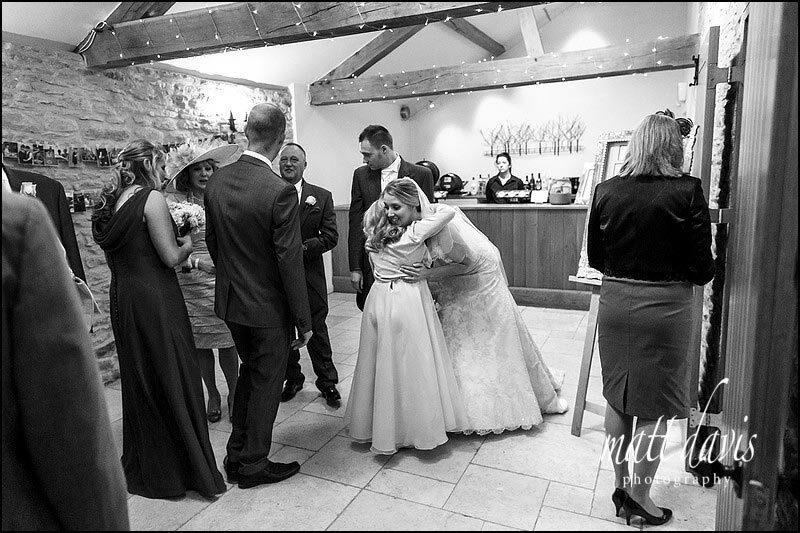 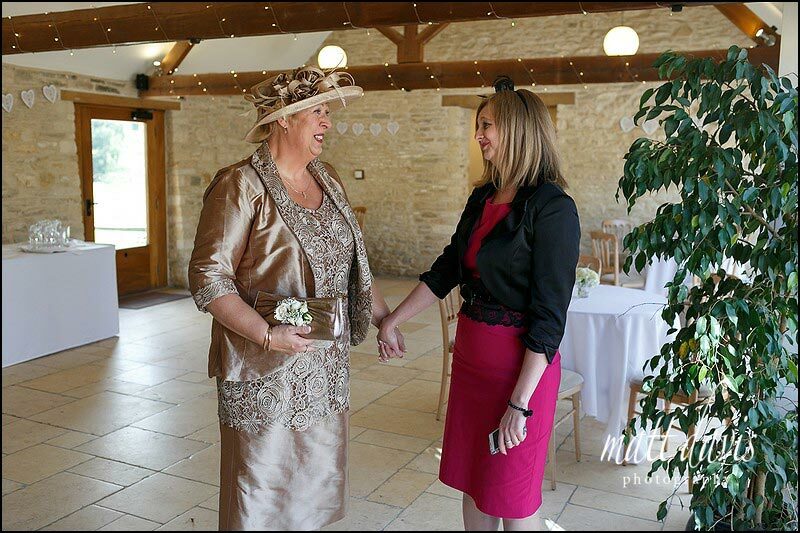 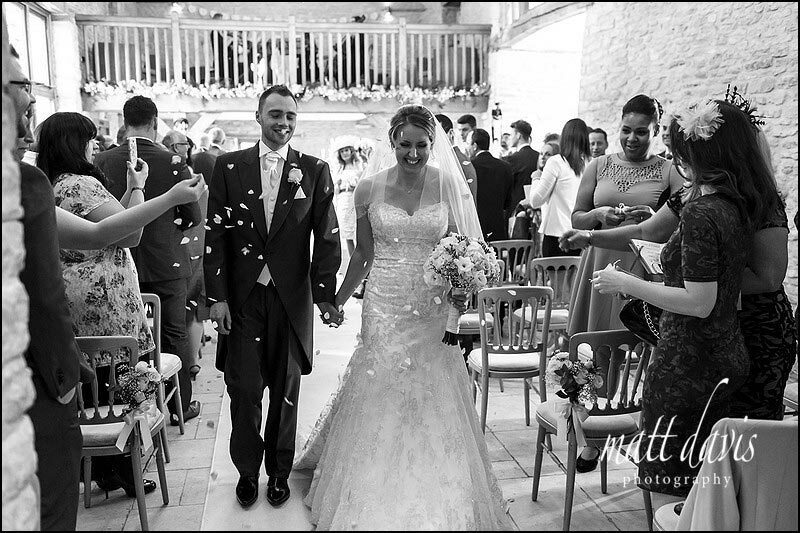 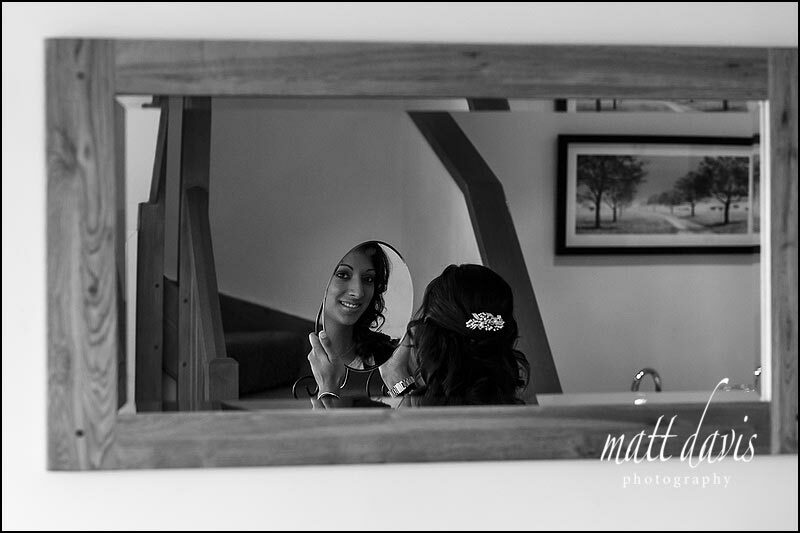 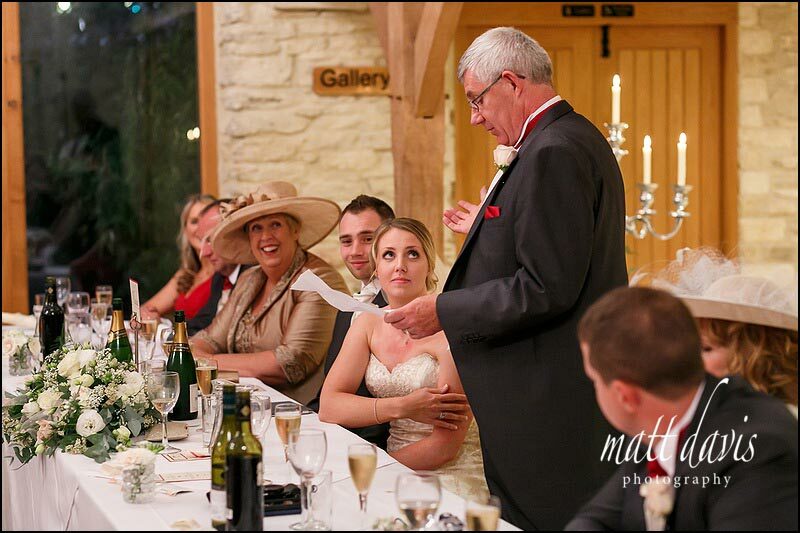 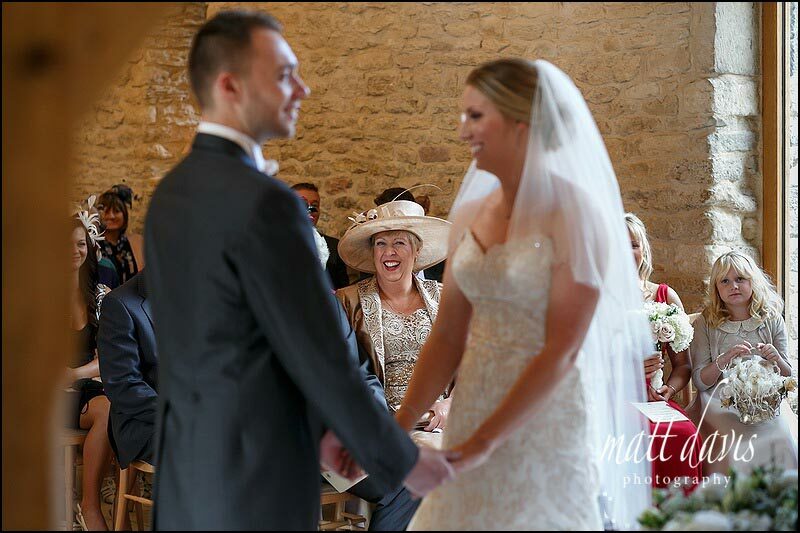 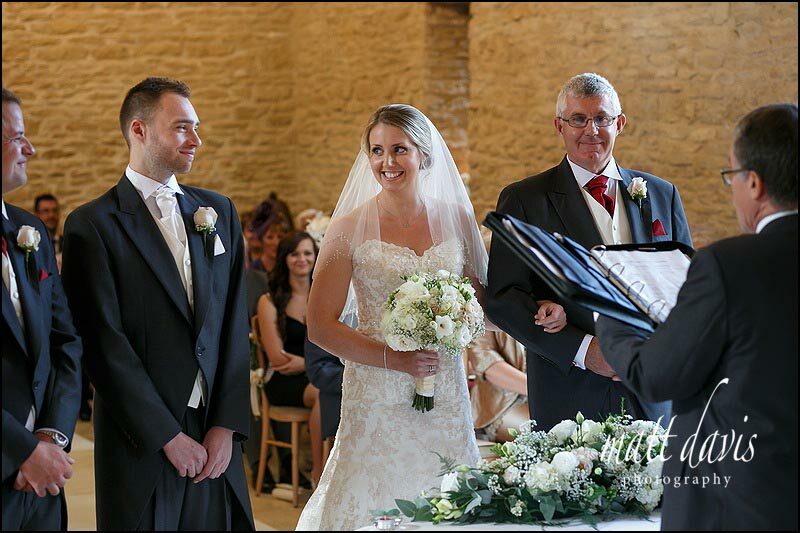 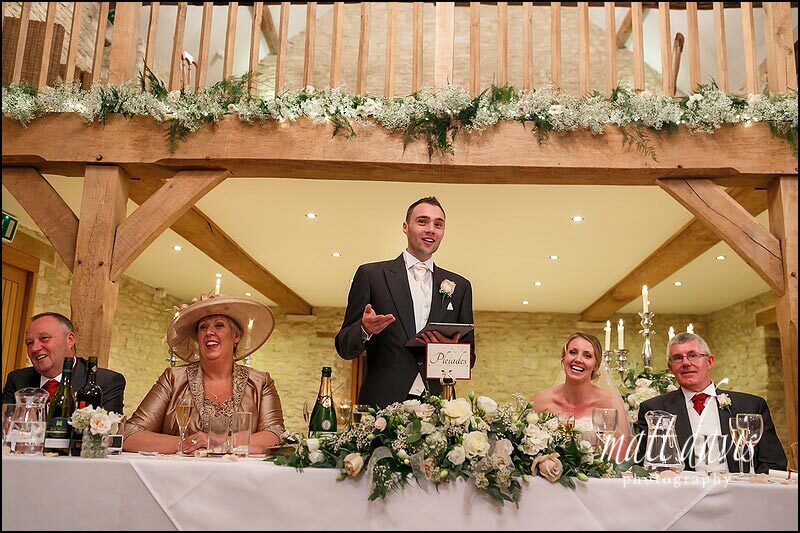 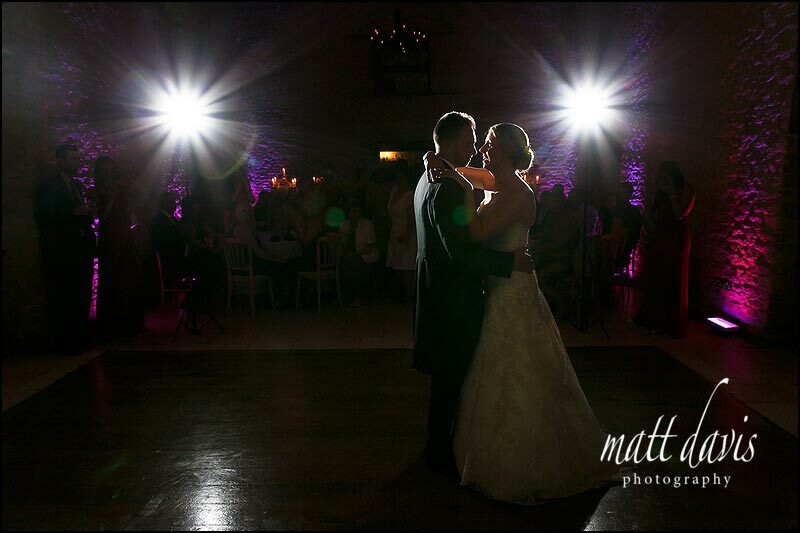 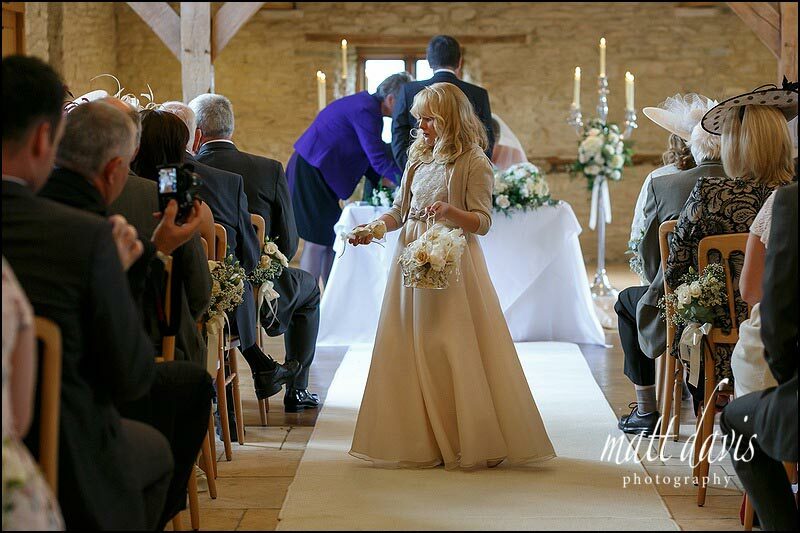 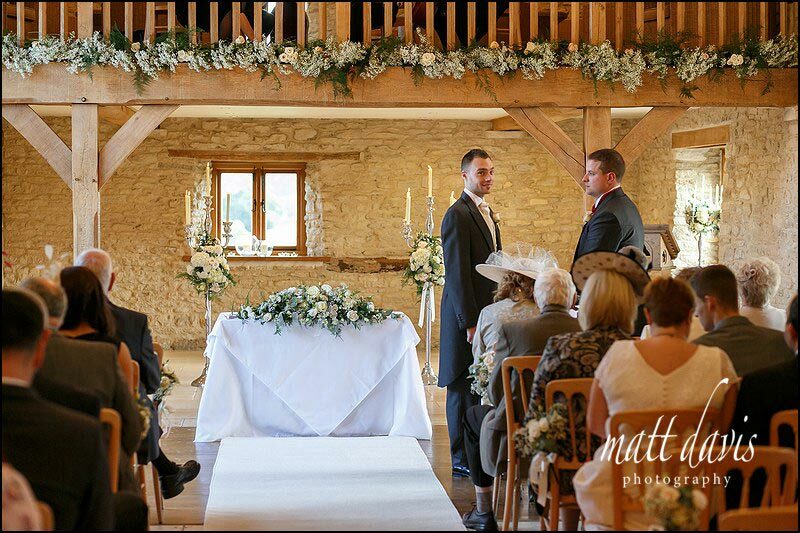 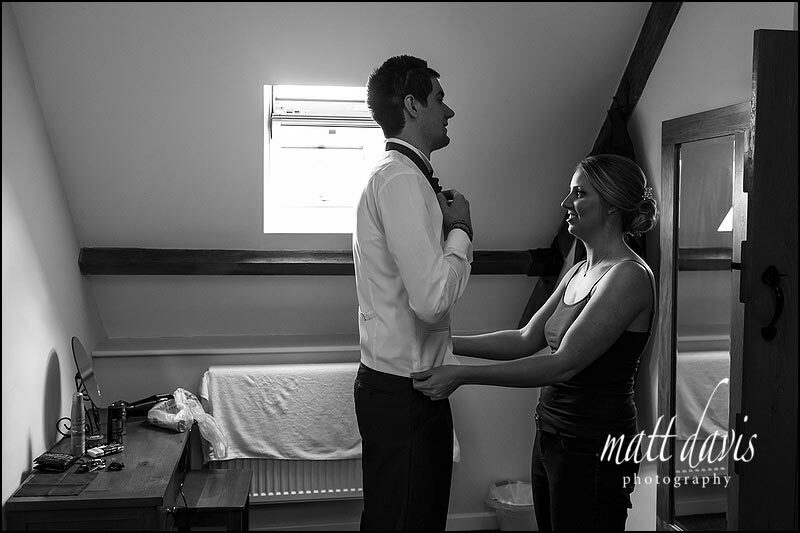 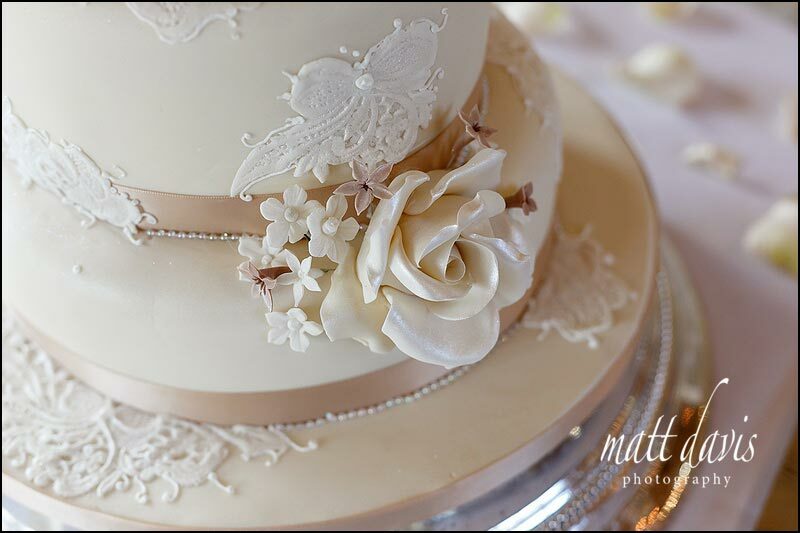 You can also see many more weddings at Kingscote Barn here on my blog.